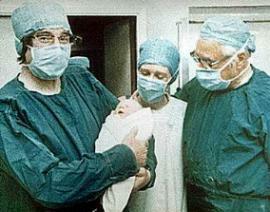 Patrick Christopher Steptoe and Sir Robert Geoffrey Edwards along with their nurse-technician, Jean Purdy successfully carried out a pioneering conception which resulted in the birth of the world's first baby to be conceived by IVF (In Vitro Fertilisation AKA Test Tube Baby), Louise Brown on 25 July 1978, in Oldham General Hospital, Greater Manchester, England. 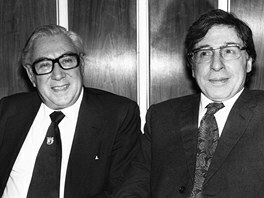 Both Steptoe and Edwards worked in the field of reproductive health before their collaboration in 1966, they were especially interested in problems of human fertility. 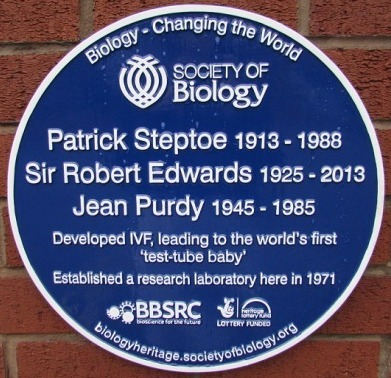 Edwards had developed a way to fertilise human eggs within the laboratory and Steptoe had perfected a method for obtaining human eggs from the ovaries using his acquired skill with a laparoscope, a long, thin telescopic instrument. 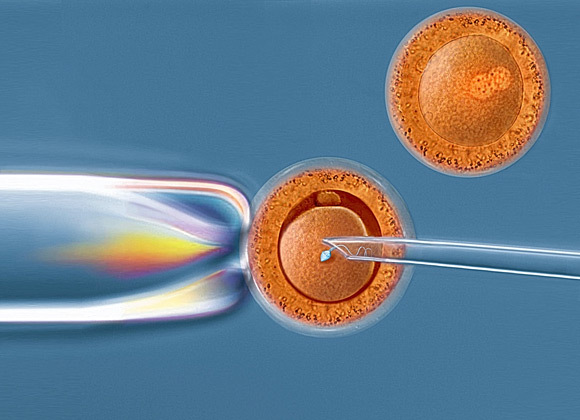 Combining these skills enabled them to produce mature eggs at the optimum time to improve chances for successful fertilisation and development. In 2010 they were awarded the Nobel prize, By this time more than 4.5 million babies had been born as a result of their pioneering initiative.